Let Cindy Otis, a former CIA analyst and author, teach you how to avoid being overwhelmed and stay focused in a world where everything seems to be on fire. Otis published an amazing thread on Twitter on June 28, 2018. Read it, save it, memorize it. We’ve reproduced it here, with the emojis removed. Scroll down for more info on Otis. Today seems like the right time to do a thread I’ve been thinking about for a while on how to handle the seemingly never-ending deluge of depressing and disturbing news. My tips are based on my time as a CIA military analyst in which I dealt daily with disturbing content. There are several risks to being overloaded with disturbing/negative content. [We are replacing her emoji checks with numbers.] 1. Complacency – becoming so used to the deluge that it all starts to seem normal. 2. Paralysis – that is, being so overwhelmed, you can’t figure out what to do/how to move forward. 3. Crisis perspective – you get trapped in the Breaking News cycle where everything seems like a potentially world-ending crisis to you. 4. Depression/PTSD – you don’t have to be on the frontline of a war have either/both. Disturbing content is absolutely a trigger. There are also serious physical consequences to living a negative content overloaded life. I had a colleague who didn’t know he had stage 4 brain cancer because the symptoms were the same as our very stressful careers–exhaustion, random fevers, stress, and dizziness. [Numbers from here forward are from Otis.] 1. TAKE ACTION. Volunteer for a food pantry, canvass for a political candidate, donate to a NGO, visit a sick friend. Seriously. Service of some kind in your community lets you be part of SOLUTIONS. You will see RESULTS when otherwise you’d feel helpless. 3. RESEARCH BEFORE PANICKING. Easier said than done, but everything will seem like crisis/earth-ending if you don’t know what has/hasn’t happened before. If it has happened before, it’s can be hugely comforting to know how it was resolved and/or what might happen next. 4. GET UP & MOVE. Put the phone away, turn off the TV, log out of Twitter. Go for a walk, sit outside, get some coffee, call a friend. CIA is full of ppl walking the building with a colleague/friend. There’s a reason. Our brains & bodies need breaks from stressful content. 5. SET RULES. Because of my work at CIA, I had a rule–I only read fiction at home. I had enough reality at work. In the civilian world, I set blocks of time each day where I turn everything off–no news or social media. Let yourself recharge so you can keep fighting later. 6. AVOID DARK HOLES. (I’m sure there’s a joke to be made about that.) It’s easy to get sucked into the swirl of bad news. You watch a gruesome YouTube video and the next one is all queued up to play right after it. Focus on one issue at a time. Deal w/ it before moving on. 7. YOU NEED FUN. When there is suffering, war, despair, etc. around you, it’s easy to feel guilty when you have fun, feel happy, have a good meal with friends. You NEED these things. You will be better able to do good in the world if you let yourself have these things. 8. TALK TO SOMEONE. Often, we curl inward socially when overwhelmed w/ negative content. It’s a means of protection. One of the great things at CIA was that everyone else knew what you were going through. Whether it’s therapy or talking to your person, talking helps. None of this is easy. I got burned out a lot in my career & many days recently, I’ve felt overloaded by the barrage. I’m sure you have too. But you and I can’t check out. We can’t give up & we need to stay engaged, but we can’t do that if we get overloaded. Keep going. Shout out to @Celeste_pewter who forces me to get out of the house when I start sounding especially doom and gloom! 1. Read this article by @leeferran that includes tips from me on how to read the news like an intelligence analyst. It gets at my tip from earlier on doing research before panicking and talks about how to actually do that research. Knowledge = POWER. 2. Schedule the time you’re planning to unplug today. Write it down so it is more likely to happen. Will you take a walk? Call a friend to talk about anything but the news? Take a power nap? Bake some cookies? Watch your fave trash TV show? Whatever it is, DO IT. 3. Look at who you follow on social media. Do you only follow people who perpetuate the crisis mentality? If so, add in some practical folks who provide actionable ways forward and context you need to know. @Celeste_pewter is a must for Americans worried about politics. 4. Tell yourself as many times as you need to hear it today — YOU ARE NOT ALONE. YOU CAN DO THIS. WE NEED YOU WITH US. Take care, all. Take a Break Every Now and Again. It’ll Help You Stop Trump. For your own sanity’s sake, plan periodic breaks from fighting Trump and his ilk. With so much going on, it might be tough to convince yourself to step away and rest. But you must if you want to fight Trump and the Republicans effectively. No, really. You’ve heard people say ‘This is a marathon, not a sprint’? It’s not a bunch of yap-yap. You can’t go the distance if you don’t slow down to grab some water every now and again. You need to sit yourself down and plan these respites, and you need to commit to them. Blocking out one day a week where you disengage from the news and from social media to do something you like–be it hiking, knitting, reading, hanging out with friends, or binge-watching Buffy the Vampire Slayer–put it on your calendar and don’t talk yourself out of it. Print it out and tape it to your mirror, or your computer monitor, or staple it to your forehead–whatever it takes to get through to you. If you won’t listen to OTYCD on this, follow Jen Hofmann on Twitter and subscribe to her Weekly Activism Checklist newsletter. She’s a fire-breathing evangelist for self-care. This OTYCD post originally appeared in February 2018. Ask your state legislators to require gun owners to promptly report lost or stolen guns. It seems ridiculous on its face, but it’s true. More than 36 states do not currently require gun owners to report lost or stolen guns. It makes sense to require gun owners to formally report losses and thefts. Timely reporting makes it harder for firearms to fall into dangerous hands. It can also help them get their guns back. The District of Columbia also has this requirement. A few states have more limited laws. Michigan specifically requires owners to report thefts, but says nothing about losses. Maryland requires reporting losses and thefts, but only for handguns and assault weapons, not other types of firearms. New Jersey is alone in imposing civil liability on owners who fail to report lost or stolen guns that are later used in a crime, and its law focuses on assault weapons only. If your state is not listed above, or has laws that could be improved, please call or email your state legislators and ask them to write a bill to address this problem. Once you have the two names you need, go to the web site for your state legislature and find the contact information for your state senator and state house rep. 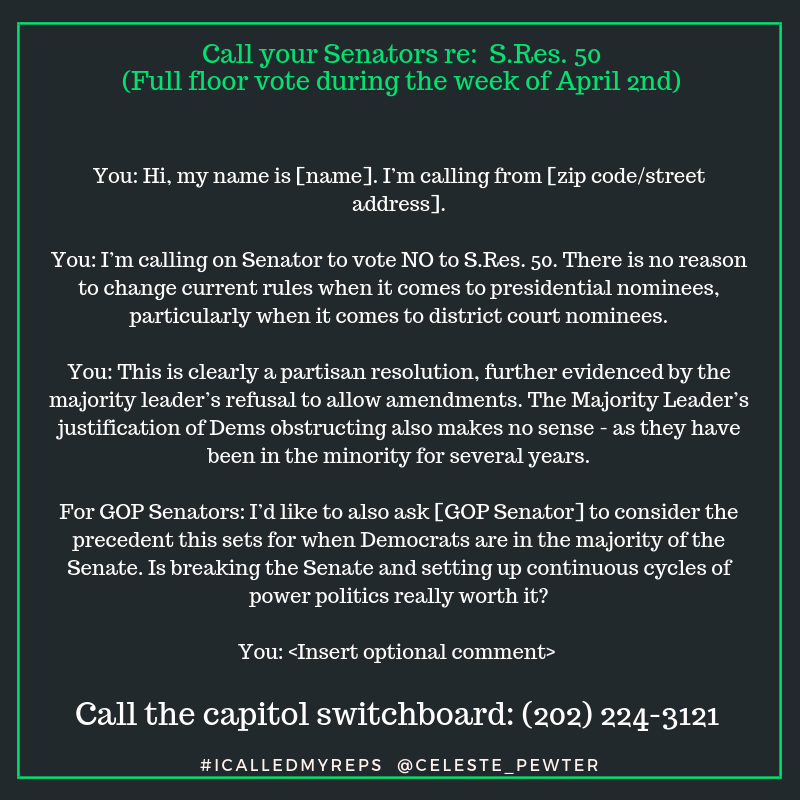 Contacting your state house rep and state senator is different from contacting your federal-level reps. Calls and emails are equally effective, and you’re far more likely to get through to the actual elected official, rather than a staffer. The owners should be required to raise the alarm as soon as possible once they learn their guns are lost or stolen. The legal duty to report starts once the owner knew, or should have known, about the loss or the theft. Those who lost guns or suffered thefts before the law took effect should be given a reasonable deadline for reporting those losses and thefts. The law on reporting losses and thefts should apply to all firearms, not just assault weapons or handguns. Owners should face civil liabilities for not reporting the loss or theft of a gun that is later used in a crime. Requiring owners to report losses and thefts swiftly should be a condition of receiving a state gun license or registration, and failure to report losses and thefts soon after discovery should be enough to justify yanking those permissions. FWIW, federal law does not require individual gun owners to report–but it does require firearms dealers who suffer thefts or losses from their inventories to speak up. Right now, we at OTYCD feel it best to ask you to focus on getting state-level laws passed to fix this problem.